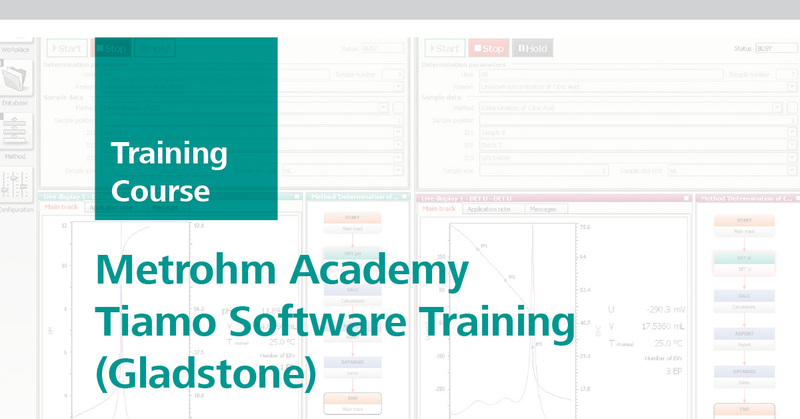 Metrohm Australia invites you to a Metrohm Academy course designed specifically for the users of Metrohm’s titration software, Tiamotm. Metrohm QCare contract holders will receive a discount voucher at the training – Please tick the appropriate box when registering. Did you know that Metrohm Australia offers custom designed training courses covering your specific applications and uses? Do our courses fit your requirements? Your needs might be different. Contact us to discuss a custom training package for your staff. Metrohm Quality Care contract holders will receive a Value Voucher (*Conditions apply). I have a Metrohm Quality Care Agreement. One of our friendly Metrohm customer service staff will contact you shortly to arrange your payment. To be admitted, prepayment of the course fee in full is required.